Simply add items to your cart & checkout when you are ready. 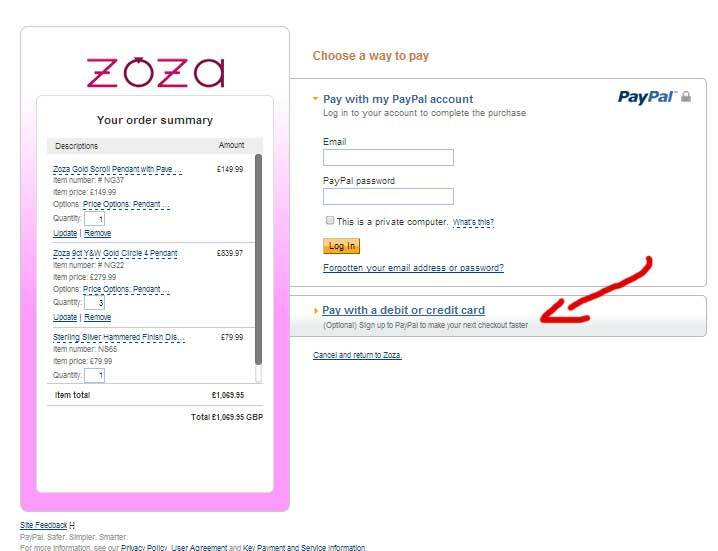 Payments are then redirected through Paypal. Simply select the Pay with a Debit/Credit Card option.